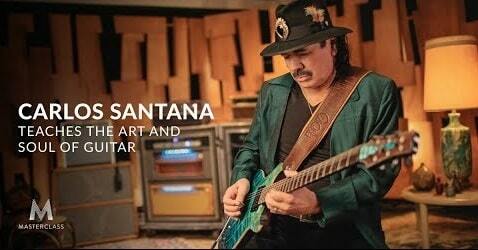 With 10 Grammys and almost 50 years on stage, Carlos teaches you his spiritual take on playing guitar. Learn how he weaves emotion, artistic expression, and musical styles from across the world to create a sound that transcends genre and connects with audiences. Join Carlos in his studio as he breaks down his process note by note—so you can discover the soul of your sound.